MBA programs are advertised as gateways to a boosted salary. The extent of career success depends on your personal skills and hard work, but there is one thing that is certain – they are expensive! Before you go on to score those high-flying jobs, you have to shell out a huge amount of money. This automatically makes it important to get a job that is worth the investment so you can pay off your education loans AND live a more prosperous life. However, the best paying jobs obviously have huge competition. So, it is worthwhile to explore a few newer career options to see if any of them are useful to you to plan your post-MBA career. Here’s a tip: If you think that submitting an application without a detailed career trajectory post-graduation will earn you a spot at your dream b-school, think again. Before you submit your application, create a detailed plan for how you plan to use your MBA. Admissions committees are looking to accept strong candidates with specific goals for the future. Not only does this help with the program’s job placement statistics, but it ensures they produce graduates who will go on to achieve success. Another thing to think twice about: Submitting an application that isn’t completely honest. If you plan to follow a non-traditional path after earning your degree, tell the admissions committee the truth! Adcoms are looking for a diverse student body with strong leadership potential… not a campus full of investment bankers and financial consultants. If you decide to take the road less traveled after you graduate, be sure to use your unique future goals as a selling point. Present yourself as the one-of-a-kind individual that you are and explain why an MBA is a necessary next step in achieving your dreams. Applying as a non-traditional MBA candidate? Here’s everything you need to know. Yes, finance is a sector that pays well and you know it too. But the sector is changing and even within it, new types of services are coming up that are yet to be explored by most people. These include innovative ideas related to online payment systems, investment funds, and insurance schemes that have been made possible by innovations in information technology. A combination of financial and technical knowledge can make a killing here. For instance, OnDeck provides small loans to entrepreneurs as an alternative to big banks. Ever heard of Renewable Energy Credits, Green Credits or Tradable Renewable Certificates? Yes, these are all new ideas that have come up due to the ever increasing environmental concerns all around the world. Big businesses are under pressure to come across as environmentally sustainable and responsible and they can do with some help from new age managers who understands such jargon and help them manage the same. For instance, Chai Energy helps the clients cut their energy expenses by monitoring usage data with the help of cutting edge technology. There are way too many freelancers without any formal degree working in this field. But if you look closer, you will see that the ones who actually break through and make it really big in the long run are the ones who have formal, specialized training. It is a brave new world and you can ace it with your strong grounding in management. In fact, only graduation is hardly enough to be taken seriously nowadays and an MBA makes a lot of difference even in a playing field as level as this. While the core of healthcare will always be the doctors, new age entrepreneurs are coming up with various new types of healthcare services and products with the use of technology in order to provide hassle-free services. These include innovative ideas such as online counselling and mobile app based testing, customized health insurance, and medical data collection as well as preservation. Again, this field is just emerging and you should spend some time exploring various opportunities. Iconic Data is a good example of such new age, technology based health startup. This is the time of “Big Data”. The term simply means that modern information technology is generating way too much data than one can possibly handle. Now, number crunching is a necessary skill for all MBAs. So, this is one field where you can further utilize your number skills if you really loved your mathematics and statistics lessons during the MBA course. Have a look at companies like Crazy Egg or Hubspot to see how they are taking the marketing and analytics to the next level. Technological innovations have also affected the business of logistics. Newer models and strategies are rapidly revolutionising the way shipping and logistics are handled. These fields need people who understand operations management and mathematics but yet are also marketing as well as technology savvy. Who comes with such diverse set of skills? Yes, an MBA! If you need an example, check out Freightos, a network of freight forwarders providing automated freight quotes and a contract management system too. The bottom line: If none of the traditional post-MBA careers are catching your attention, that isn’t a reason to end your business school dreams. Expand your horizons by considering a non-traditional career and your goals for the future may click into place. Not only will considering some less-expected career options help you land your perfect job, you will be able to use your individuality to your advantage throughout the admissions process. Hopefully some of the non-traditional options above sparked your interest. If not, this may be a sign that you should wait to get your MBA. Spend some time crafting a plan for your future so you can use your individuality to win over the admissions committee and earn acceptance to your target MBA programs. Do you have further questions about these fields? Ask us in the comment below. 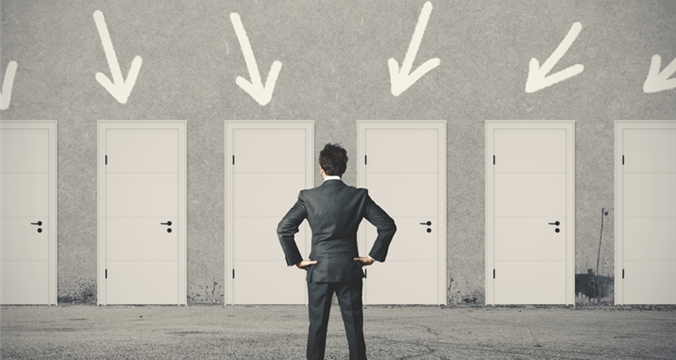 What sectors are you considering for your post-MBA career path?